Udimi is a solo ads marketplace where sellers and buyers get in contact with each other to trade solo ads deals. The site is free to sign up and the best thing about Udimi is how fast you can get started with it. What makes this solo ads marketplace different from other solo ads websites is that Udimi guarantees the traffic. Not only does it filter out junk traffic and useless clicks so you don’t have to pay for them, but it also covers your funds by refunding you money if a vendor fails to deliver all clicks. Udimi works in a very simple way – it’s a solo ad network where you can purchase solo ads from providers, see reviews and amount of sales other people are getting when purchasing a solo ad. These features will allow everyone to know what they are buying and makes it easier for you to avoid bad solo ad providers. 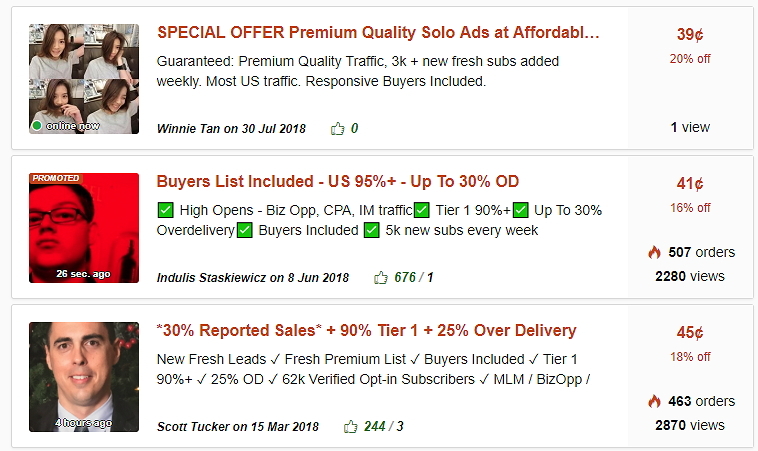 The price of Udimi solo ads isn’t very high – the typical cost is between $0.35-$0.95 per click. 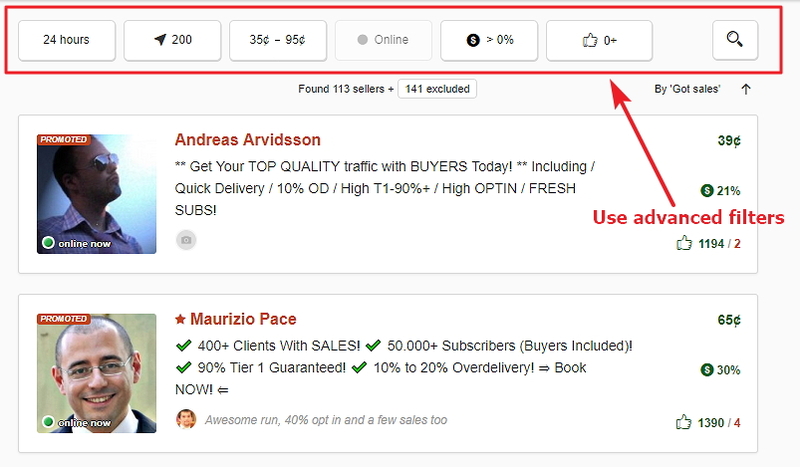 The reason why every solo ad cost is different is because each seller sets their own pricing on a per click basis. Usually, the higher cost-per-click rate is the higher quality of the email list you can expect to get. Udimi users has the option to upgrade their accounts to the Prime Membership, which costs $19.95. If you a get a Prime Membership, you will get an advanced filtering on all your solos on top of base filtering. On top of that, you’ll be able to earn higher affiliate commissions – 50% from the Prime subscriptions of your referrals and 15% from each solo they buy. Also, there is an option to create Custom Affiliate Agreements with Udimi vendors and earn even higher commission, it can go as high as 90%. If you signup on Udimi through this link on this page you’ll get a $5 FREE gift credit to spend on your very first solo ad purchase. How to Get Udimi Gift Code (Discount)? How Much Does Udimi Solo Ads Cost?